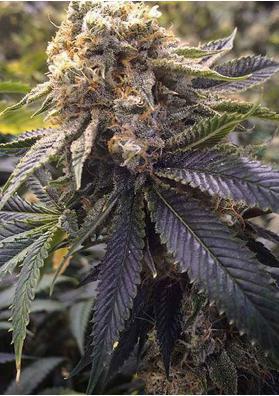 The feminized marijuana seeds Sapphire Scout are one of the new arrivals for the 2019 of the seed bank Humboldt Seeds. With an intense fruity aroma, incredible production and an overwhelming power, they promise to captivate even the most demanding grower! The feminized Sapphire Scout marijuana seeds from the Humboldt Seeds bank are a surprising new addition to this bank for the year 2019. The result of the cross between the Girl Scout Cookies and a True OG, this strain promises to meet all the needs of growers: huge productions, very potent effects and an unforgettable flavor. Sapphire Scout is a strain that produces hybrid specimens with a mainly sativa vegetative vigor, so the bank recommends a short period of growth. Outdoors, and due to its long flowering and density of buds, it is recommended to grow in a drier Mediterranean climate, with pleasant temperature. Another possibility is its growth in greenhouses, where it can be protected from late summer rains. Sapphire Scout is a strain recommended for growers with some experience, since both indoors and in greenhouses is advisable to control its height very well, because if left to grow can easily reach 4 meters high. The production of Sapphire Scout is very high and offers buds of the highest quality and full of resin. After about 65-70 days indoors is a strain that can offer up to 600 grams per square meter. Outdoors, with the help of sunlight, it is a strain that can reach the incredible 3500 grams per plant about two weeks after the end of summer. The effects of Sapphire Scout are very potent and start early. With a THC level that can reach 27% it is a deeply relaxing strain, inviting to disconnect both body and mind for a long time. Sapphire Scout has a delicious fruity flavour, with the grape and sweet blueberries standing out, with background notes of diesel and haxixe. Come on, a treat everyone will want to try! Production: 400-600 g/m2 indoors and 2500-3500 g/plant outdoors.